What a delight it was to be able to be a part of a wonderful birthday surprise between two sisters. 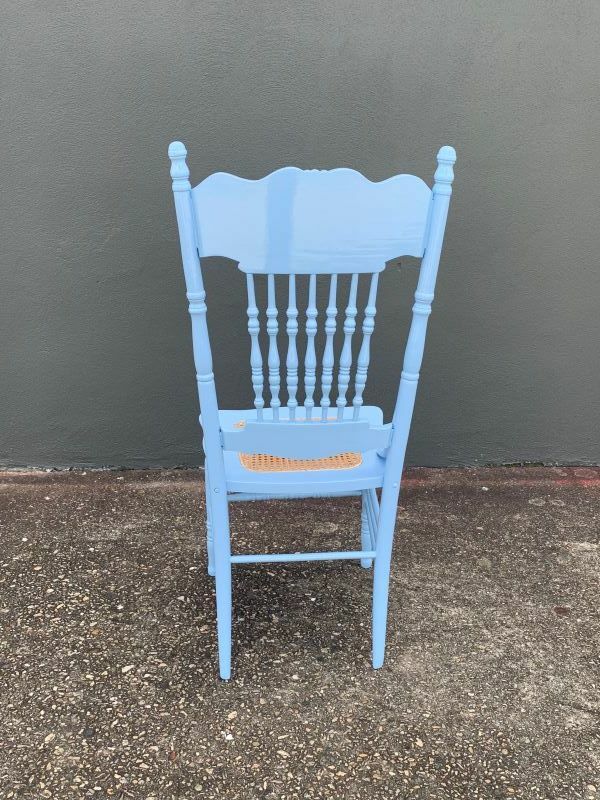 Fast forward 50 years or so and this little chair was in need of repairs and repolishing and what could be a better present than having it restored for a surprise birthday present ? 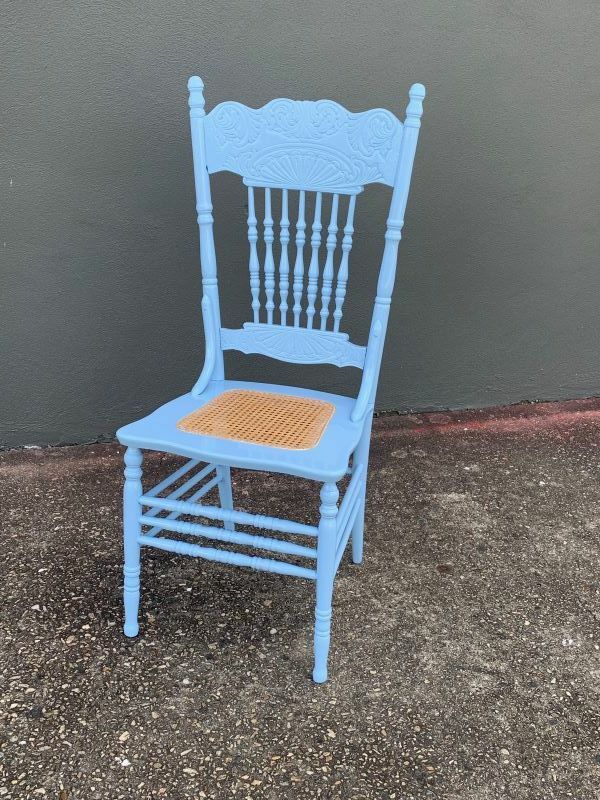 We repaired and restored this gorgeous piece including painting it white, and adding new rattan as well as a duck egg blue fabric to contrast with the freshness of the white . A glorious result for this wonderful old rocker full of cherished memories and now it will go on for many more generations. Just one of the reasons we love what we do ! We are currently in the midst of restoring some wonderful mid century Scandinavian furniture. We love makeovers!! 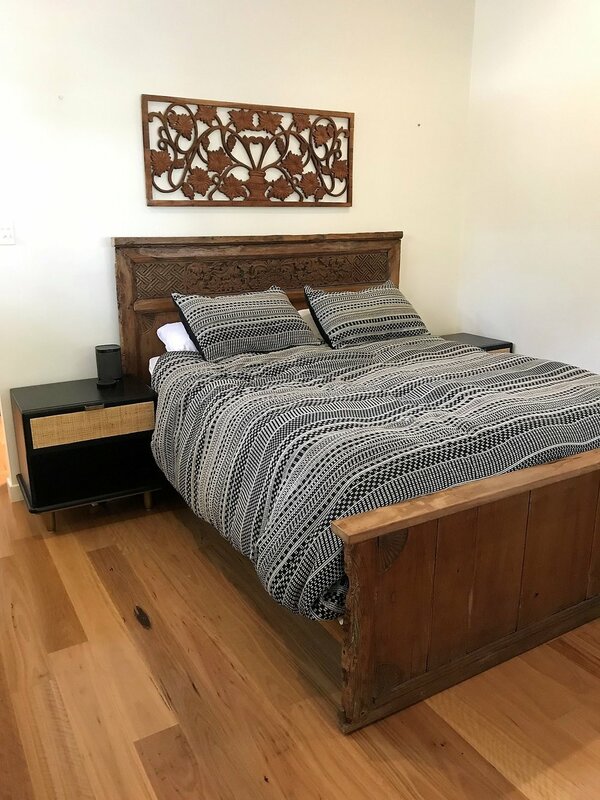 Instead of throwing this silky oak dresser to the curb, a Brisbane client came to us to organize a stunning modification. There is so much satisfaction gleamed from restoring a wonderful piece of furniture to its former glory. There is so much satisfaction gleamed from restoring a wonderful piece of furniture to its former glory. This quaint English Oak Sideboard was in dire need of some attention. 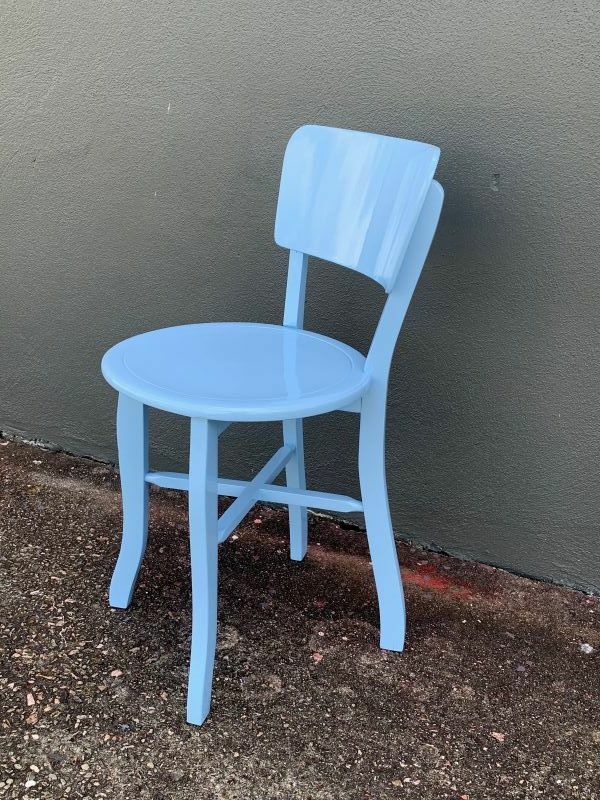 We had an overwhelming response and interest in not only our Wooden Surfboard and traditional woodworking classes, but also our custom making and furniture restoration services. Thank you to Carbatec for making this possible. Much appreciation to Michael Hoffman and David Wardrop for their invaluable help and enthusiasm over the weekend. The kitchen, arguably the most hardworking, central point of the home deserves to be treated to some special attention now and again. Using recycled hoop pine ( from a dismantled 1800's home in inner city Brisbane) this kitchen was restored, to include an impressive butlers pantry, extra bench space and more storage and a new design in keeping with this traditional Queenslanders charm and character. Bywater Design are extremely proud to be the official heritage furniture restorer for the Brisbane City Hall Restoration Project. During the past months, we have been very busy restoring the wonderful furniture in City Hall. Many of these pieces date back hundreds of years and carry with them so much history and character. A wonderful slice of history involved in the restoration project, was the repair and re-gilding of this wonderful gold mirror. Dating back to the 1800's, the 24 carat gold mirror originally from Europe was bequeathed to City Hall and now after a detailed repair and restoration this commanding and majestic piece, which incidentally stands over 2 meters high, now takes pride and place in the newly refurbished Media Room in Brisbane City Hall. Also included in the many facets of this project was The Restoration of The Coronation Chair for Queen Elizabeths II's visit to Australia in 1953. We look forward to sharing more photos and stories on the Brisbane City Hall Restoration Project, including the wonderful refurbishment of the original Shingle Inn Booths. Combining his love of both surfing and woodwork...Stuart was very excited when approached to restore an Australian classic 1950's wooden hollow surfboard... The board as shown below was in a fairly bad state of disrepair and needed significant restoration and restructuring. This fantastic retro board is an Okinuee . The Okinuee, is the Australian version of the iconic Malibu Surfboard. These surfboards were first made just after The Melbourne Olympics in 1956, when Aussie surfers, unable to source Balsawood used Hollowed Plywood instead and so the Okinuee was born. The only distinguishing future on this particular Okinuee is the name Babs ;inscribed on the front.... The name is most likely to have been a tribute to the maker or the surfer for his girlfriend /wife... lucky Babs !! The extensive restoration and repair process included; repair and reglue centre structure, repair to centre rails, modifications to the crossbeam, nose and tail sections to secure the main frame. Plywood panels were then fixed with screws and glue, and a draining plug added. An extensive sand, and repolish completed the overhaul of Babs. You can avoid this by using a suitable furniture wax to promote and keep moisture in the grain. Simply wax on with a clean dry cloth and then wax off any excess, doing this a few times during winter will noticeably enhance your furniture and keep it in pristine condition. PH: 3256 9000 or e; enquiries@bywaterdesign.com.au and we would love to help you . Few people have a vision of what an old worn out wardrobe can look like if converted into a bookcase We have completed several conversion projects like these for clients and they have always been amazed at the finished piece . So we were delighted when one of our Woodworking Students, chose to take up the challenge himself and convert his old Silky Oak Cabinet into something new and wonderful. David was not deterred at all by the processes and time involved to complete such a makeover. Then the cabinet was sanded and David polished the cabinet to match his existing decor. The finished product looks absolutely amazing. Well done David on a remarkable job and for persisting to achieve what you set out to do. You should be proud of your accomplishments. We cant wait to see you next project !! The Anglican Church Grammar School (Churchie ) situated in East Brisbane has a rich history steeped in tradition and education. Established in 1912 in Toowong Qld and moved later in 1918 to East Brisbane, the School has been undergoing transformation and restoration as part of its' centenary celebrations. Bywater Design are proud to be associated with the schools' refurbishment. Constant exposure to the harsh westerly afternoon sun, heat and UV extremes have left these doors in poor condition. The existing doors were completely removed for a complete restoration at the Bywater Design Workshop. Temporary plywood doors were installed for security and practical elements. Cleaning 100 years of grime, dust oil etc was a very ardeous but rewarding task. The doors were finished in 2 pak marine epoxy exterior grade, highly suitable for harsh weather conditions. Restoration now completed the temporary doors were removed and the new and much improved Darnell Doors were re installed and will maintain their excellent condition for many many years to come . This gorgeous 1940's Hutch, has seen many good times. 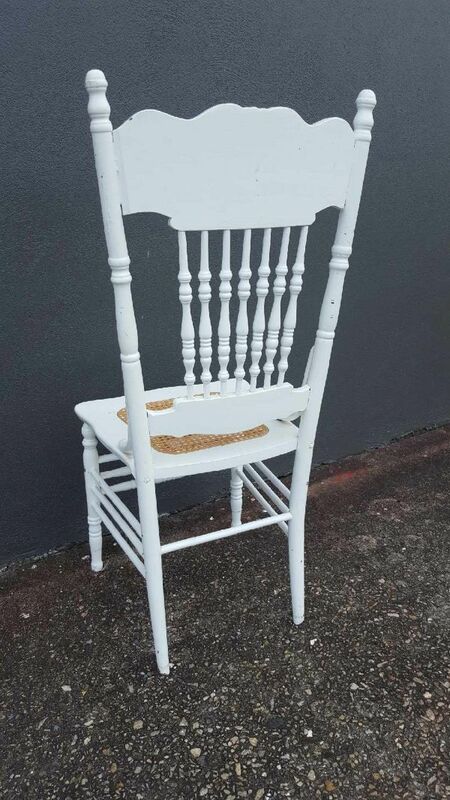 In the 1970's it was lovingly given a coat or two of white gloss paint by its owner. Fast forward to 2011 and this gorgeous vintage kitchen hutch was in desperate need of some major care.